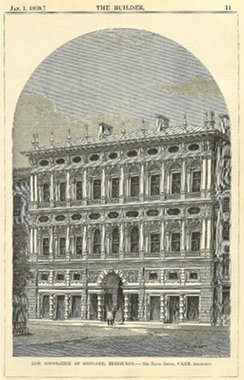 Descriptions and illustrations of proposed new buildings, or recently completed or newly opened buildings. Articles on artists and their works, particularly those who execute murals, painting, sculpture or metal craft work integrated into the fabric of new or existing buildings. Archeological reports and examination of ancient architecture. Because of the sheer volume of information published in these journals, we have found it necessary at this time to exclude articles on the following subjects: legal issues, sanitary systems, structural engineering, road works, surveying, wage rates, mechanical engineering, financial reports, specification writing, and other topics which do not relate to the activity and accomplishments of architects and the practice of architecture.